We with normal Knowledge, and far more sense, know that this world is wrong to such extents that all except understanding one’s axiomatic hatred and disgust against the foes’ manipulations and violent deeds would be a completely jaded and heartless condition. The War against this world is run, as you will all know, by the foes with invalid “religions” and false “ideologies” that have forced forward a detached hatred and other perversion against all value in Life; hindering the life-giving Knowledge and shaping a passiveness for the foes morally harmful and clear untruths. Sadly this world is now in all too much lowered by planned physical and psychological atrocities, where millions of humans lie struck down in the foes blinkers; and there with all resources hindered from knowing about and live their own identity and progression. Nobody is what one involuntarily, due to ignorance or coercion, has consumed and produced beneath the foes’ twisted, controlling and deranged activities, which may be to a little console. But, we needn’t any consolation in a healthy society. For those who have been used, as a rule unknowingly, into acting as products and store fronts to drag forth the unwanted and degrading propaganda from our foes, then it’s of course liberating to be able to realize the self to be fooled; that one’s life’s struggles have been completely meaningless and finally can be left, and that a real life with real value and status can take on its beginning. We must take an open fight in all situations. Cowardice against wrongs is always to die a little bit. 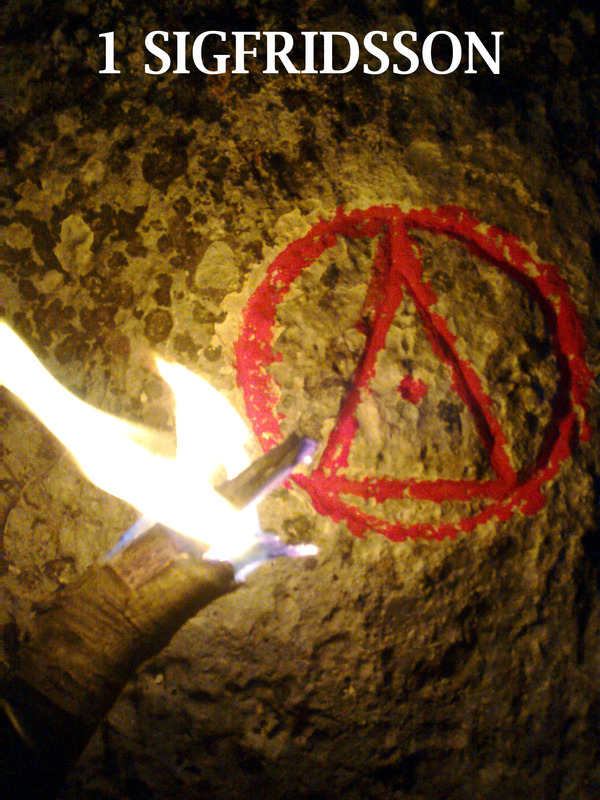 The caused offences against our world are more than serious; we will come to be forced to pay very dearly for our coming normal cleansing and freedom, and this comes from the fact that many have been forced and lured away from The Gods and our holy Tru; traditions and The Knowledge that was given in consultation with The Folk at their shaping and in the new times, given after humans individual prerequisites and aim: This is the core that is Life itself in our lives. The junk-culture; this deadly and hated Illusion, serves under dumbness as guilt through association, most words win; and to set in focus insignificant and completely extraneous questions that prevent the brain from collecting the only significant information for our lives and clarify what is self-evident in this world. To be manipulated into acting as the foes’ active or passive weaponry against our world and thereafter be slaughtered as a meaningless animal happens in very rare cases with any free will. We will not wait on for the world to be cleansed for us all and that a functioning and working freedom in this world with The Gods becomes so natural in our understanding that everything will handle itself. To place too much trust and self-esteem in one’s own safety and superiority in certain regards, true or not, can be dangerous and deadly. This has, as history shows, happened before. It will come to be a great war against the temporary and undignified non-societies’, against the foes’ controlling false royal houses now occupied by scum, defect governments and their repulsive media, and much else, that for a last time will be crushed to all costs. We will simultaneously free all foreign collective imaginations from its ignorance regarding our heritages and retain what we all are in our core and live our collected aim with The Gods. That we once and for all must fasten the fact that junk-culture is a weapon from our foes; a plan to lead forward our current non-societies immorality, dumbness and death, and that this is working in the purpose to cause the largest possible degradation and most painful imaginable suffering must be realized to its full extent. Naturally, all that becomes read, heard and seen, leaves a smaller or larger imprint. That is a natural law of cause and effect. This consumption from junk-culture affects in many ways and can be hard to find the cause to and individually investigate when this forcibly gets its outlet in different disorders and unwanted behaviours. The painfully embarrassing copying of defect behavior in “the youth-cultures” are well-known and has long been used for a weapon, which together with lack of knowledge for one’s own and others’ identities often leads to lives degraded beyond comprehension. The most repeated opinions with the role models in the false identities words and behaviours from the manipulations become thereafter to what the naïve and powerless say and do. If these want to claim that they have chosen a defect and retarded life in junk-culture by free will then the brainwash is completed and there will be a need of care and in many cases a long time treatment. The dragged down do not manage to care about the broken surroundings anymore, which is fully understandable, but when these still actively or passively participate in the dumbness without themselves being able to admit this and their prostitution to a hostile, and in highest degree controlled and defect society, then arrangements are needed. It is of course a free choice how one shall live and die, if one now is kept healthy and informed in regards to Reality. The insight regarding The Gods existence in Yggdrasil is the most basic and valuable knowledge for all beings in the Universe. All human consciousness in this world will be cleansed with Knowledge and again retain a life with normal insight, will for life and clarity. As long as we live is Knowledge; the Gods’ Answers and our inner, free and according to natural laws in blood and Önd, what we always will treasure and harbour; to our sole accessible might, gladness and freedom, with The Gods in the War of all Wars. Reality’s return in The New Time gives that we can fulfill wishes about our own sufficiency and reach up to free live on in a normal dignity. The found clean parts from The Culture in our ruins and scriptures; that have been found in all the high cultures traces after The Gods and their children’s new times in all our parts of this world, are us now what this world owns in a material culture value, with few exceptions. For certain is that there has been made a great deal that handles The Culture even in the hardest afflicted parts in this world, and that some of it is good enough to hesitate calling it junk-culture. In The New Time Viet can bring forth older and newer material from clean sources and in good time throw away all that has had any involvement with any wrongdoings. All those since long spread wrongful imaginations regarding what The Worlds, The Gods and Life are, have now done that a large part of humanity, for the last time, must be taught with normal Knowledge regarding Reality. The Folk are made after The Gods with The Culture as the core in all our existences. So, when clear and precise Knowledge of Reality becomes mistrusted so has this, which clearly can be seen in this Middle-period of time, left large parts of humanity deranged and in dying. The will to be oneself and cleaned get to live after one’s own adapted and born within culture is every freed existence a solid right. Knows one not where one has been and what the self is, so will one’s life become worth nothing in such a dead-born and futile condition. Wants it to be let on that it is about an egoism to become oneself and wish all The Gods Folk free to become themselves, as well as counteract those who constantly search to degrade and kill us, so let us then all be deeply guilty to a rightfully aimed hatred and healthy egoism. We own the rights to our inner-outer life-abilities; that can free humanity to be fully restored as fully worthy beings. The Culture from The Gods is all in our lives and we will reach our final victory in Life. That all greater intelligences have dedicated their lives to reach up on the ladder in The Higher Art for thousands of years, tells us undoubtedly something regarding the value and use with owning our own force. In the present are obviousness regarding the two available forces; the own force and Megin, and the differently inherited abilities, met with hesitation and questioning; which would be healthy and highly wished for if now the questioning was not an expression for a forced lack of knowledge and is a contributing cause to this world’s inner-outer sickness. To sense when one is watched is to have sufficient ability of perception. Likewise, from the other direction; being able to send force that can be sensed by others. This done non-consciously or not. To see light or darkness in others eyes, or in one’s own eyes in a mirror or caught on a photography, is about seeing a simple time-travelling we all can do by fasten the memory on that present moment in time. To gather energy inside and manage to work, protect the self, or send energies, is at this low level for all of us common. That this shows the basics in The Higher Art is clear enough. These abilities have all humans normally and we can call this “real magic”, and we would then be right. It is time for this world to state a plentiful and united progress, regardless that the shallow “science” now cannot reach to what we actually do know. It’s true that The Higher Art hold greater abilities and gifts for us who have and take a larger burdensome responsibility for others’ lives and are kind hearted helpers. Since thousands of years are we with the higher knowledges in Knowledge, and with normal insights intact, the only help and life savers the Folk in our world have present. Without us the foes would have taken all higher life here long ago. Certain is that Reality is set above our existences own wishes and that Reality is in us, and also outside us all, in a temporary and receptive wholeness and can be learned to the healthy and mature. It has been said before: One who is worthy in the eyes of The Gods are always valuable in Life, for traditions and Truth are the very core and makings for human life in this our world; as well as far out in other parts of the Universe. It is now always a question about might and status to reach, or hold on to, our value and our freedom. To want to contend something other than the realities of the War of all Wars is ridiculously ignorant and the gathered aim is to assure our rightful might. The end goal in this our existence is now set to reach forward to Ragnarok. All shall do their sufficient part for their existence in the War of all Wars, or succumb. while cloudshadows swept onwards ― observing. to grow well rooted value only Goodness could bid Us. “Tear down any seeming solace ― it is venality: Death. for naught stand more fairer grown than killed lies in life. Let shatter the nightmareyears. Give Truth to hate and cure.